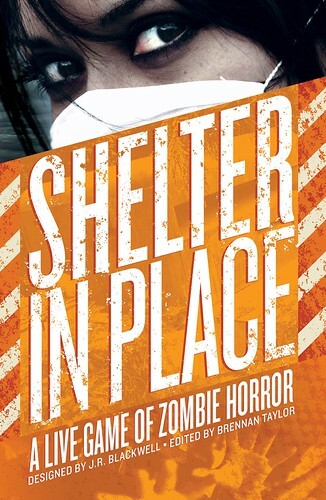 Shelter in Place Now For Sale! Shelter in Place is now for sale at Indie Press Revolution and Drive Thru RPG. You can purchase the PDF, book, or a bundle of the both. I am so thrilled that is now out and available for everyone to buy. So much love goes out to the Kickstarter supporters, who helped me to get to this place so that I could have the first print run of the book. It was such a pleasure to find out that so many people were interested in this this game. Putting out this game was something that was accomplished as a team effort. I had the pleasure of working with some of the best people I know on making this happen. There are few greater joys that working with talented people who you respect on a project that you love. I’ve been thinking about the new year recently and what games, art projects, collaborations and graphic novels I have in the pipeline. This year was a good one and next year looks like it’s going to be even better.